What do you need to do to prepare for a winter road trip? 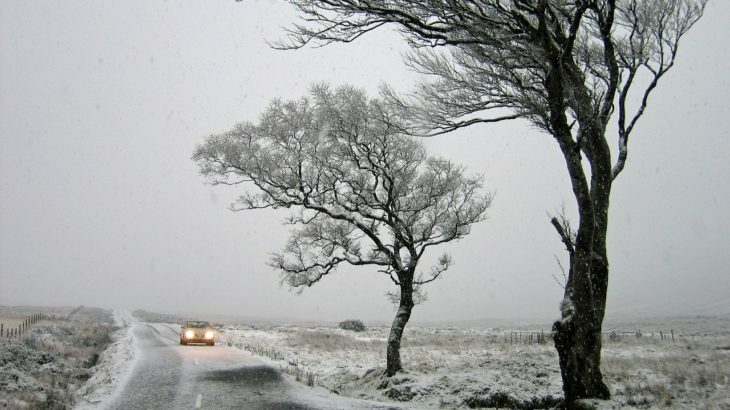 Is it worth it getting traveler or vehicle insurance for a winter road trip? Do these car insurances shelter you from spending too much in case of emergencies? These are some of the most frequent questions that most travelers, especially solo travelers ponder on when they’re about to embark on their journey during the winter season. While car insurance is essential in any road travel in Ireland. Most travelers have acquired it because of the ease of access for online quotation of insurances in websites like theaa.ie that provides the most comprehensive vehicle insurances suitable for your need at a discounted price. 1) Make Sure That Your Car Is In The Best Condition. Before traveling, have your car checked to confirm that it is in it’s best and optimized state for a winter road trip to avoid any car breakdowns when you’re already on the road. 2) Let Your Emergency Contacts Know of Your Whereabouts. It will provide them easier tracking of you in case they lost contact with you. 3) Get a Tailored Insurance. If this is your first time traveling, it’s better to be safe than sorry. Going on a winter road trip, you are already an infinite number of scenarios that could happen — sudden engine breakdown, road blockage, natural disaster and getting car insurance tailored for your need might save you from spending money to avoid paying the night on the road. 4) Bring A Survival Kit (With Map and Sat Phone). If the worst scenario comes and you have to navigate by map and need to get off from your car, it’s best to have lightly packed the essential things you need to survive the remainder of your trip. Read this article for more safety tips that you must know for your next road trip. 5) Check The Weather On A Daily Basis. Update yourself with the current weather situation in the places you are traveling into so that you can prepare and condition yourself on what you might encounter on those places. 6) Maintain an Average Pace. Driving in ice alters the natural course of tires when it starts rolling down the road and with a safe albeit slower pace, you remove yourself from danger as well as endangering other people. 7) Take note of your Insurance’s Claim Assist. You might wind up in an uninhabited area and your emergency contact might not be able to rescue you in the soonest possible time, so it’s best to keep your car insurance’s 24-hour hotline so that you can contact them in the event of an accident. Learn more about AA Claims in theaa.ie. 8) Always Keep Your Lights On. This practice might save your life, in case there are fast-paced yet sleepy drivers who are pulling an all-nighter on the road. 9) Plan and Set Your Schedule Accordingly. Just like with life, plan and set a goal for your trip, so that there is a continuous direction in case there are some detours encountered. You can also add daily goals to feel that sense of accomplishment while venturing in the ice. 10) Keep A Fully-Equipped Toolbox. Even if you do not know how to fix a car or change a tire, you might encounter someone who’s willing to lend a helping hand if you have the right tools. It will save you the hassle of hauling your car to the nearest shop if ever there is.